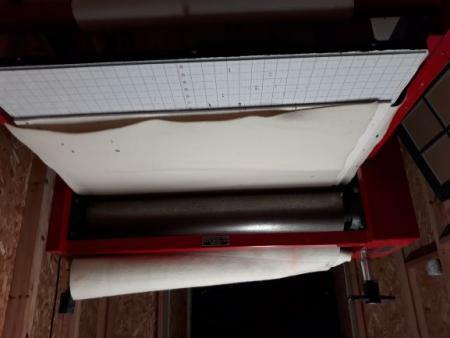 Selling my used Laguna Etching Press 23112 “C” No. 3660 with Motorized Control. Bed size is 37.5” x 60.” All functions are fully functional. We are the second owner. Bed is flat in polished condition. Weight estimate 900 pounds. Press is easily dismantled into 4 components. Motor and drive relay switches all work. Press either forward or reverse buttons to move in either direction (safety feature requires one finger on either hand to press the button for the press’s motor to start moving the roller) Top roller is adjusted by two micrometers. It has a new plexiglass top on the bed with grid guides. (see pic) PICK UP ONLY or You arrange all shipping details from door to door including selection of carrier, labor, delivery, palette, all costs. 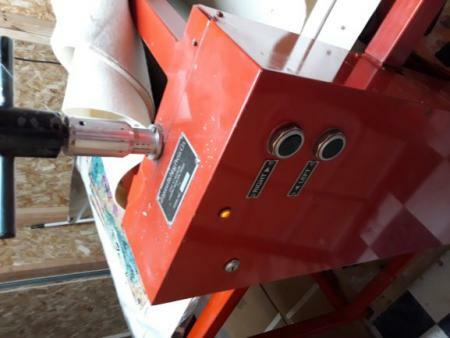 *two of the little roller guides are missing but doesn’t affect the press and could be easily purchased from a printing press company. Comes with 3 new woven blankets. pictures keep loading sideways? Texting is the best way to contact me.